PUNE: A number of local residents along with a number of social outfits, including members of right wing groups, protested against the electronic dance-music (EDM) fest Sunburn on Sunday, demanding that it be shifted out of the state. Gram Panchayat members and residents of Bavdhan and Lavale villages, along with local politicians and social outfits, staged a ‘rasta-roko’ (road block) near Oxford Golf Course in Lavale, near Bavdhan, the venue of the music fest scheduled from December 28 to 31. “We demand that the festival be taken out of the state altogether. How has the administration been so permissive towards an event which breeds addiction and encourages bad habits among the youth? The Maharashtra government must take a firm stand against the conduct of such events,” said Rahul Dudhale, former sarpanch of Bavdhan village. Kiran Dagade-Patil, a corporator from Bavdhan, alleged that the festival was a hotbed of illicit activities, and also caused needless traffic snarls. 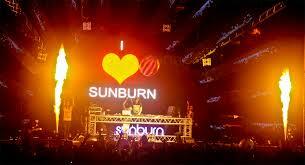 Sunburn, now in its 11th edition, has unfailingly managed to court controversy, compelling organisers to shift venues in Pune a number of times. This year, after locals protested against the first proposed venue in Pimpri-Chinchwad, the organisers were denied permission for their second venue in the Viman Nagar area. The event is now scheduled to be held at the Oxford Golf Course in Lavale near the city’s Bavdhan area from December 28 to 31 on a 35-acre plot. Karan Singh, CEO, Sunburn, had earlier clarified that all requisite permissions had been obtained, along with the consent of the Lavale gram panchayat and the district police. However, villagers from Lavale, who were part of Sunday’s protest, claimed that the gram panchayat granted permission in an ‘irregular manner’, without consensus of all members. They also accused the event organisers of illegally levelling their land. Last week, the Bombay High Court cleared the decks for Sunburn with the caveat that the government would have to spell out measures to ensure that liquor or cigarettes were not sold to those who were underage. On Friday last, the civil court in Pune had rejected a plea by Shiv Sena and MNS corporators in the Pune Municipal Corporation seeking a restraining order as the organisers had allegedly indulged in illicit tree felling.